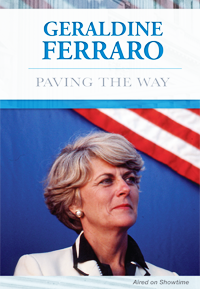 Geraldine Ferraro: Paving the Way is available from our distributor, The Video Project and its affiliate, Specialty Studios. Please select from the options and licenses available below. Host a public event to inspire more women to get involved in politics, or to raise money for your organization.